Having a website I get lots of junk mail from all over the world. I usually go right to mark as junk and delete. But something made me stop and click on this one. The title was: "Doll Face Machine". Wouldn't you have to click on that one? So I clicked hoping and deadly virus would not envelop my computer. But I do see some possibilities. Cute Christmas ornaments of your kids and grand kids? Funny convention souvenir maybe? If you have your own little body to pop it into instead of those strange little cloth ones...Maybe? What do you think? The smallest head is 6cm which is a little over 2", largest 45cm or 17-1/2". Ok, maybe it is a little strange and odd...and maybe tacky? Have new articles delivered right to you via e-mail. 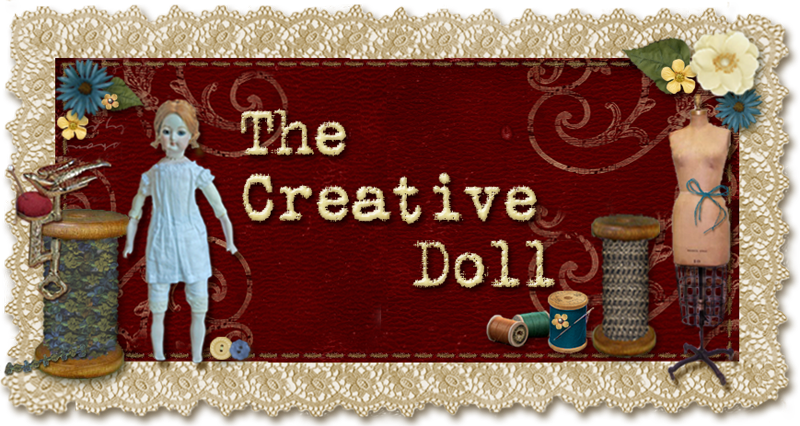 The Creative Doll exists to inform and delight. The team of Michelle Mahler of Doll Artist's Workshop (minidolls.com) and Kathi R. Mendenhall, La Petite Belle Patterns (minipatterns.com) are doll makers and doll lovers. We hope to bring you interesting finds, things to muse and to help you to create. Kathi Visit Kathi's profile on Pinterest. Michelle Visit Michelle's profile on Pinterest.